Penny is on your mind and in your heart. 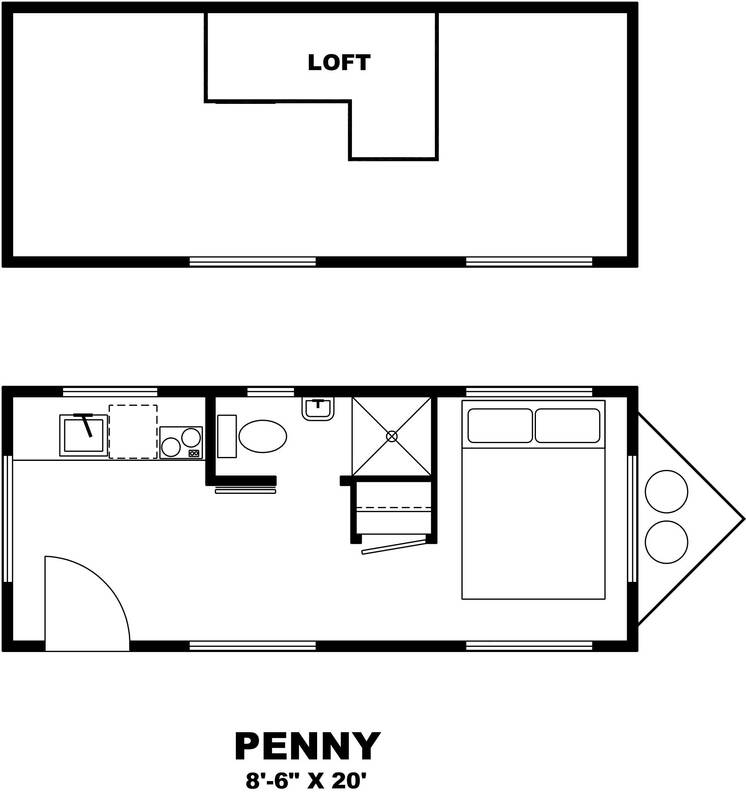 The Penny, a collaboration with Cheeky Monkey Tiny Houses, is the baby sister at 8.5’ wide by 20’ long and 11’ high. Very easy to pull. Our teeny Tiny at 170sq. feet plus a storage loft of 60 sq. feet. The private main floor bedroom fits a queen size walk around bed and a closet. Cook full course meals in your mini kitchen. Even space for a dishwasher and W/D. Lots of light with 9 dual pane low E windows and a full light door.